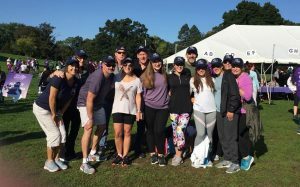 It was a fun-filled, sunshine-drenched, record-setting year for us with funds raised totaling over $2,700 for the 2018 Walk to End Alzheimer’s in Providence. Thanks to all our clients, colleagues, referrals sources, friends and family who participated and supported us. We are grateful for your generosity to this cause, which is near and dear to our hearts … and to the hearts of many of our clients. Currently, more than 5 million Americans have Alzheimer’s and that number is expected to grow to as many as 16 million by 2050. THANK YOU!